Celebrate honors the majestic maple on the grounds of the Minneapolis Institute of Art at the corner of 24th St. and 3rd Ave. 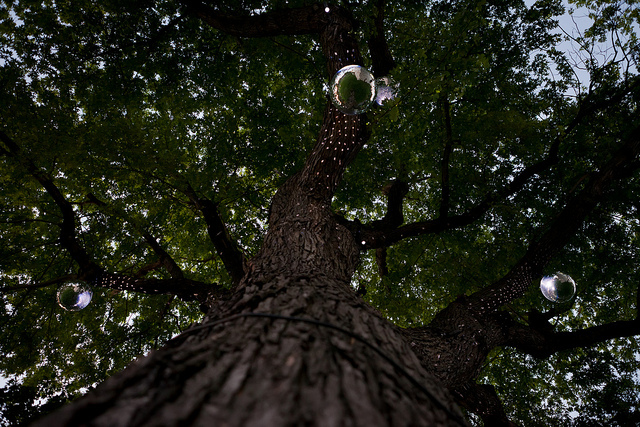 Rising more than 60′ into the sky, this tree is a wondrous specimen. 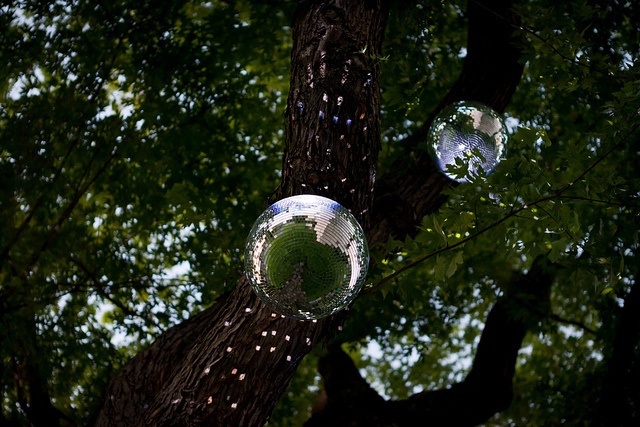 For Northern Spark it will be adorned with multiple mirrored balls and lights, gifting this tree with its own celebratory party. 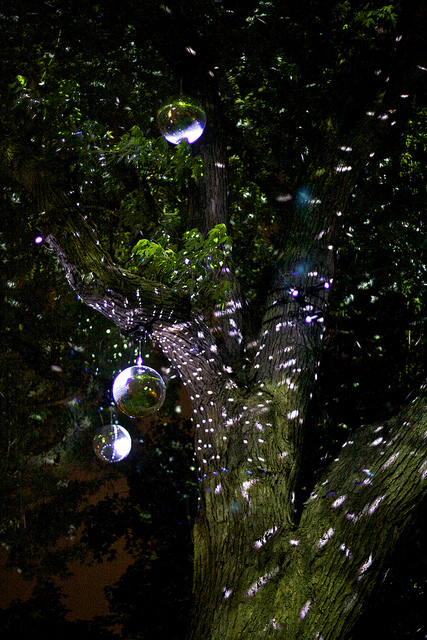 The reflected light will bring the normal dappled light that drifts through its canopy to the nighttime. 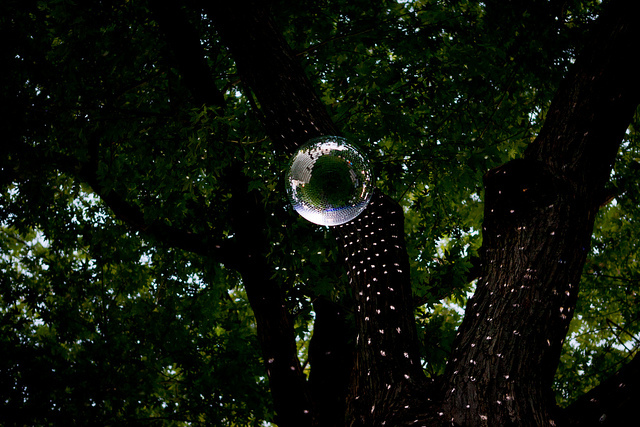 Stop by to marvel at the sight and think about how quickly our celebration of the natural can turn artificial. Aaron Dysart studied at The University of Minnesota, receiving his MFA in 2002. 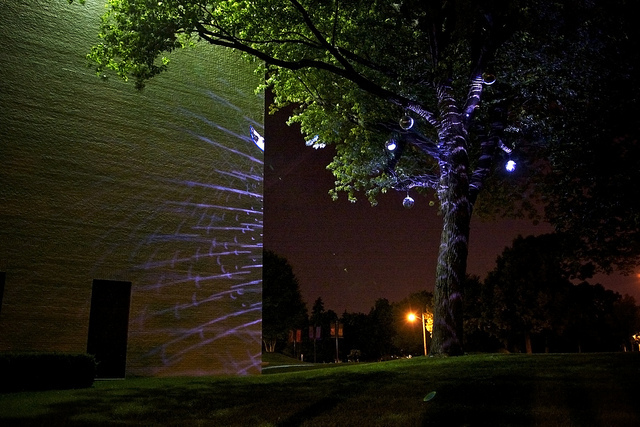 In 2007 he received a Jerome Fellowship through Franconia Sculpture Park and was awarded a fellowship for sustainable art making through Public Art St. Paul in 2008. Later he engaged with Public Art St. Paul leading walks with scientists along the Mississippi river. Recently Aaron was awarded a Public Project Grant through Forecast Public Art to make a rowboat out of soap and row it on the Mississippi. 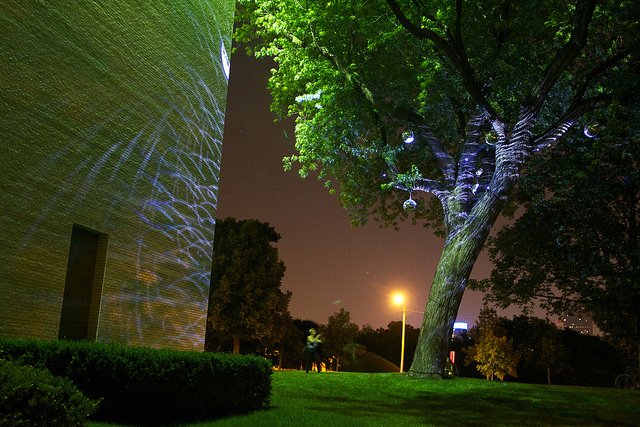 Aaron has exhibited nationally and is now producing work and living in Minneapolis and is an adjunct professor at Anoka Ramsey Community College.